Shanghai -the extraordinary Chinese mega-city called “New York on steroids” is a mixture of modernity and traditions …..
- Old Chinese traditions mixed with modernity of vertically and horizontally expanding metropolis in an attempt to re-capture the long forgotten glory of the past on the way to the modern future….. It will be difficult to comprehend the spirit of Shanghai without some knowledge of its past still clearly visible and felt on the streets of this “exploding” mega-city. Contrary to our beliefs that everything in China has few thousands years of glorious history, Shanghai for quite long was a small fishing village. It was only at the beginning of 18th century when Shanghai’s location was recognized as a great asset for an international trade center – a bridge between still mysterious East and conquest hungry West. Soon after, the “westernization” process divided the city into spheres of influence of China and the Eight-Nations Alliance consisting of Germany, France, Italy, Russia, Austria-Hungary, Japan, the United States and the United Kingdom. I’m mentioning this period not to dwell in the past but to emphasize the fact that today’s Shanghai cityscape bare the visible effects of the foreign presence. The French-style architecture can still be seen in the former French Concession area, similarly British-style buildings are reminiscent of the imperial presence in the Bund. And there is a strong traditional Chinese-style accent in the old town near the Yuyuan Gardens. Pudong Center with its mushrooming skyscrapers. The "window" shaped building - 101-story World Financial Center for few years was China's tallest building and 3rd tallest in the world. Today however although that part of the difficult past is still cherished (to some extent), the city’s landscape is dominated by mushrooming skyscrapers, commercial districts and streets “crowded” by zillions of inhabitants and tourists. The Free Shanghai City Pictures and Photos will try to guide you through the city, recognizing however the almost impossible task. Simply speaking Shanghai, on top of being a true melting pot of various cultures and influences creating a unique atmosphere, it also changes so quickly that today’s pictures do not reflect tomorrow’s reality. Traditional city neighborhood (lilong), once dominating the city's landscape, today is pushed towards "extinction" to make room for modern infrastructure. Shanghai’s old neighborhoods are quickly disappearing from the cityscape. In the mid 20th century almost 70% of city inhabitants lived in lilongs. 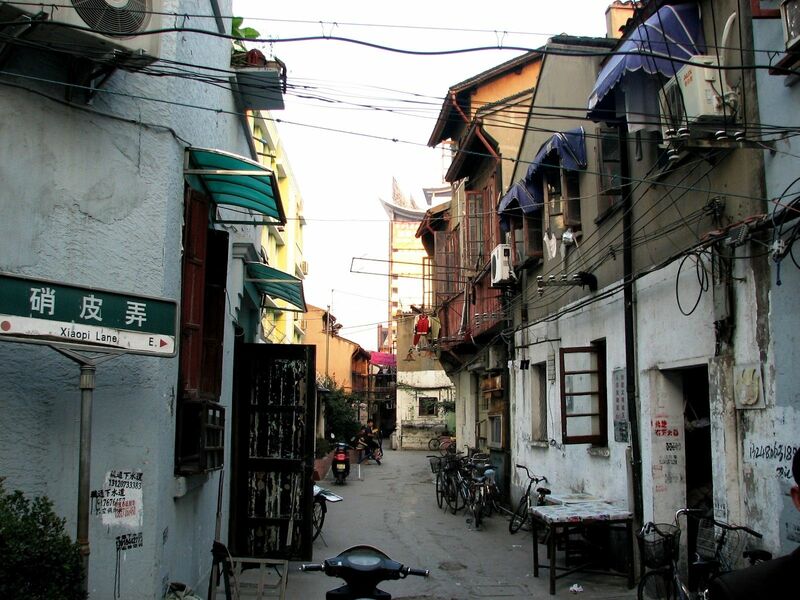 Narrow streets (like this Xiaopi Lane) were crowded with bicycles, rickshaws, dotted with small shops and what was typical at that time – with people knowing each other by name, like a family. Today, everybody here knows that the old time is over, that it is only a matter of time when highways, multi-level apartment buildings, shopping centers - will replace these historical quarters. This is a traditional, colonial center of Shanghai encompassing the Chinese-style old city and ending at the west side of the Huangpu river - The Bund. It is hard to believe that just 20 years ago it was still a low-lying farmland with scattered small, mostly family owned factories. 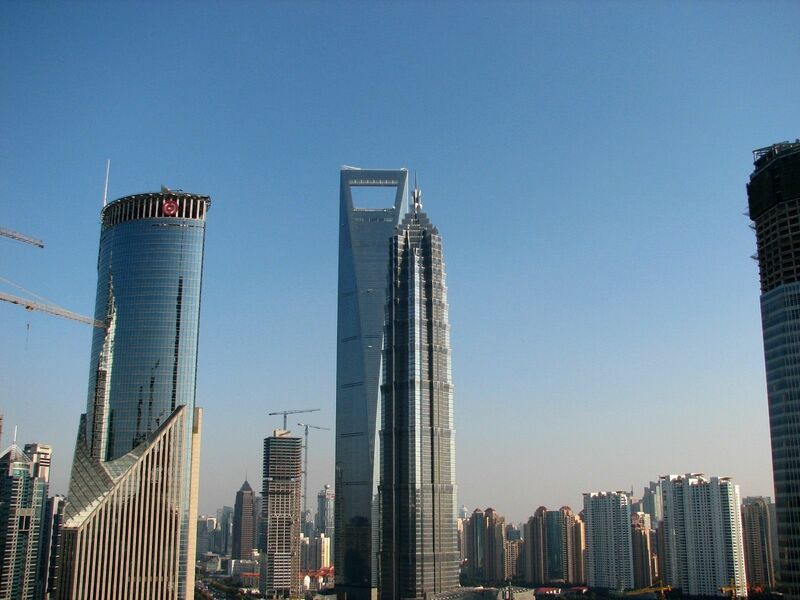 Today Pudong is a Manhattan of Shanghai dotted by skyscrapers, hotels and financial centers seemingly competing for the title of tallest or biggest ones. The web of highways makes the bloodstream connecting this bristling district via bridges over the Huangpu River with the main part of Shanghai. I guess you already realized from the pictures that the Shanghai’s sky even during sunny “blue” days has a kind of strange gray-reddish smoke and pollution tainted colors and foggy visibility. It was actually a shock for us requiring few days of “acclimatization”. And frankly till today I’m still not sure if it was a time and our “miraculous” human flexibility that did the job or rather the fresh breeze from the sea that cleaned the air. The fact is that after few days in Shanghai we did not feel air-quality induced “inconvenience”. Top left - Oriental Pearl TV Tower. Bottom: view from the tower. 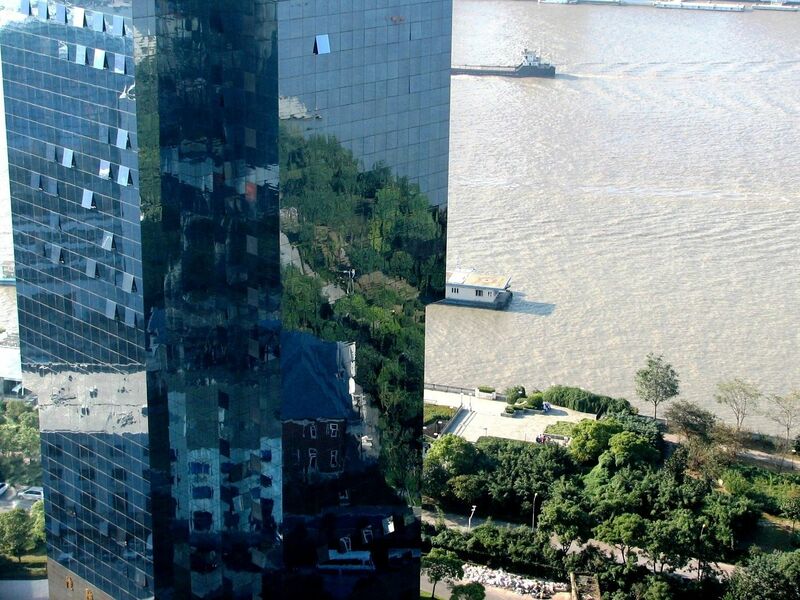 View from the Oriental Pearl TV Tower at the nearby glass-and-steel building reflecting greenery of the boulevard along the Huangpu River. I called it the "Building of Suspended Gardens"
Eager to visit the Old Town? 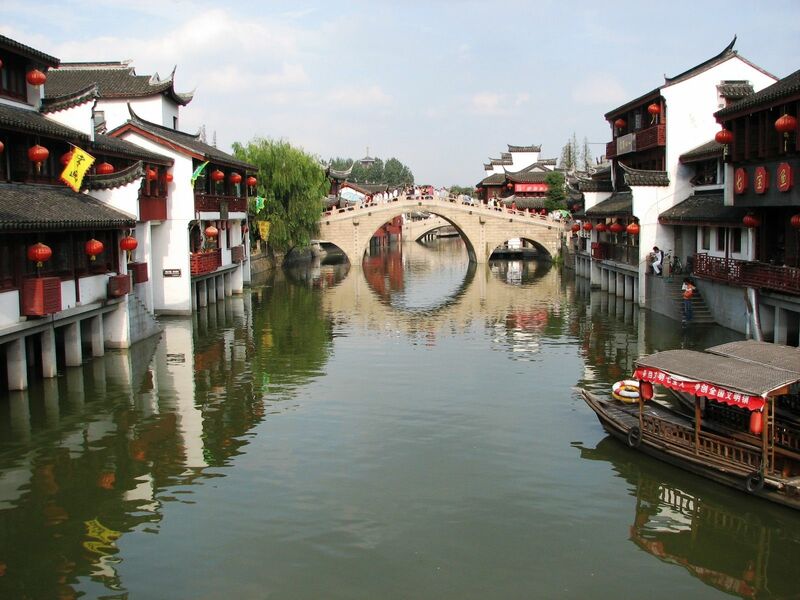 Wander along the narrow streets, taste the traditional Chinese meal or simply sip the tea in the famous Tea-house? It is a the click of the mouse from here.